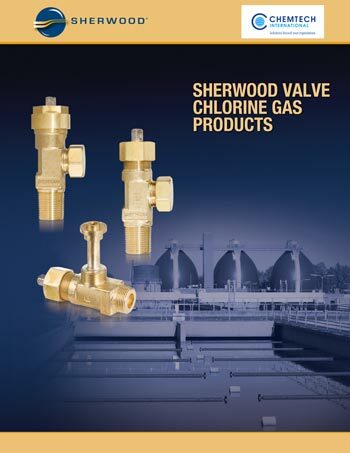 Since 1992, Chemtech International Inc. has been an exclusive and authorized distributor of Sherwood brand chlorine valves and accessories for compressed gas cylinders and ton containers. 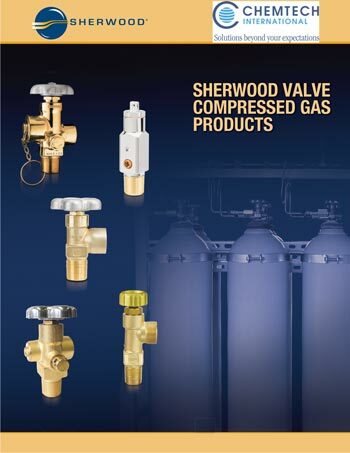 Chemtech is the preferred Sherwood Valve supplier for all segments of the compressed gas industry around the world, from industrial gases, medical and semiconductor to welding, mining and alternative energy companies. Whether you are the producer, supplier or end user of welding or medical gas mixtures, or any of the most commonly used gases, including chlorine, hydrogen, helium, nitrogen, carbon dioxide and argon, we know safety and performance are your top priorities. This is why we only distribute Sherwood valves and accessories. Sherwood Valve has built its reputation on quality, safety, and innovation for over 90 years. All Sherwood valves are manufactured with the industry’s latest technologies and automated processes to increase quality and lower production costs for our customers. Advanced inspection and process controls, including infrared thermal imaging, are implemented at every stage in the manufacturing process to maintain highest product quality, reliability, and safety. 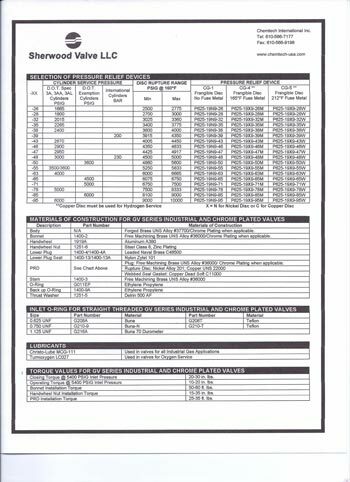 Since Sherwood Valve is a totally integrated valve manufacturer, all valve components including rods and raw forgings, are designed and manufactured by Sherwood’s own development team, which ensures top performance, reliability and increased durability of Sherwood valves. 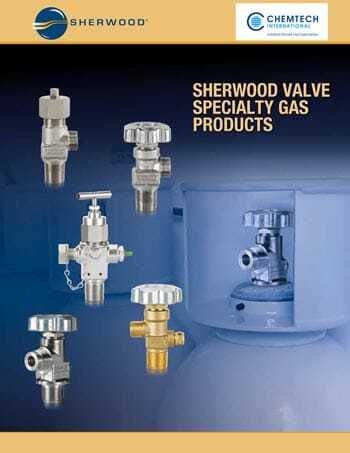 Sherwood Valve is fully certified to the stringent standards of ISO 9001, and all Sherwood valves are designed to meet the industry standards set by the Compressed Gas Association, the Chlorine Institute, FDA, Underwriters Laboratories, OSHA, and U.S. Government military specifications. Only highest quality materials are used to manufacture Sherwood valves, to meet industry and customer’s requirements for top performance, quality, and safety. For over 20 years, Chemtech has been the leading distributor and supplier of Sherwood brand valves, serving North America, Asia, Europe, Middle East, South America, Israel and Africa. We offer a wide range of Sherwood specialty gas valves and related safety products, such as emergency kits, gas leak detectors and analyzers. Chemtech International’s products are great. I have never had any issue with the company. The provide great customer service!